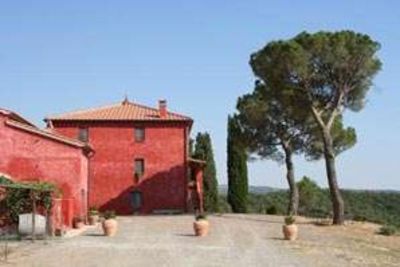 Casa Leone is a wonderful villa located inside the village of Castelmuzio, near Pienza, in the province of Siena. 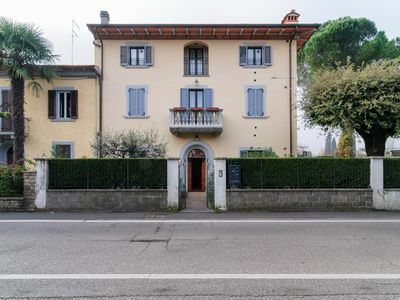 In Castelmuzio you can find some restaurants, bar, grocery stores and other shops that can be easily reached on foot. 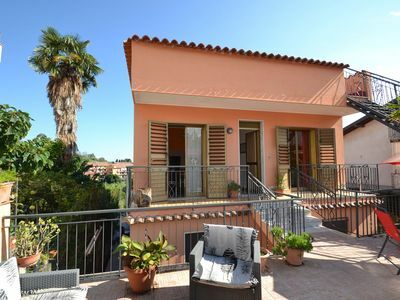 Set in the midst of an old olive grove, it features a garden and a thatched pergola with outdoor dining table and barbecue, ideal for alfresco meals and grills with friends. 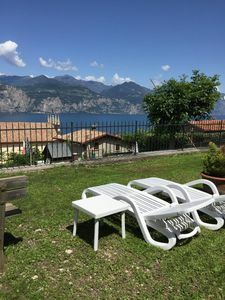 The outdoor areas are embellished with a lovely swimming pool, equipped with sunbeds, from where you can admire amazing views of the countryside. Lastly, at guests' disposal a terrace on the first floor, offering a spectacular panorama of the surrounding nature. Utmost privacy and tranquility guaranteed. The property (230 sqm), set on 2 floors and furnished with taste and elegance, can accommodate up to 10 people for a total of 5 bedrooms and 4 bathrooms. Ground floor: You are welcomed by a spacious living area with beamed ceilings, sofa, dining table and direct access to the garden and pergola. Following a well-equipped kitchen with refrigerator, oven and dishwasher. 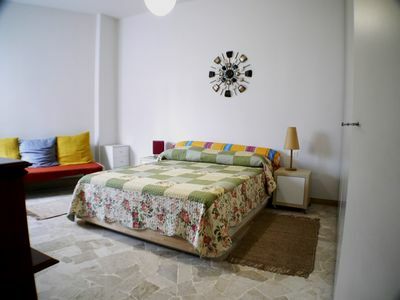 The sleeping area consists of: a double room with ensuite bathroom (with bathtub and overhead shower), a second double room with four poster bed and a twin room. All bedrooms have ceiling fans and direct access to the garden. 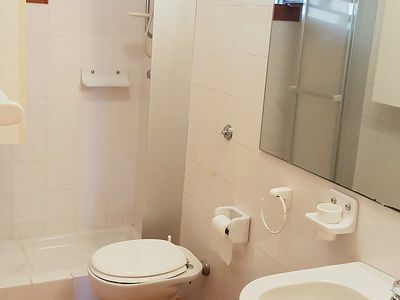 There is also an extra bathroom with shower cubicle. A laundry room (equipped with washing machine, sink, iron and ironing board) makes the rest of this floor. First floor: The first floor - accessed by an outside staircase to the side of the villa – is made up of a lovely living room with sofas, dining table, satellite TV, stereo and DVD player. From this room guests can access to the rooftop terrace. Following a double bedroom with ensuite bathroom (with bathtub and overhead shower) and a twin bedroom, both equipped with ceiling fans. Lastly you will find a further bathroom with shower cubicle. Included free Wi-Fi. Pets are not allowed. 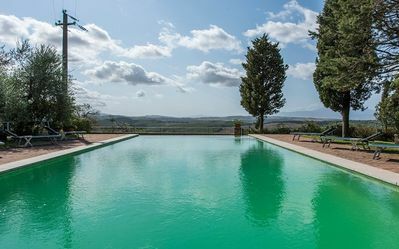 Wonderful villa with swimming pool and garden, surrounded by an old olive grove near Pienza. 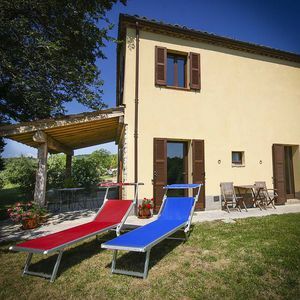 This is the ideal accommodation for those wishing to spend a pleasant, relaxing holiday in one of the most beautiful Tuscan landscape, enjoying absolute peace and privacy. 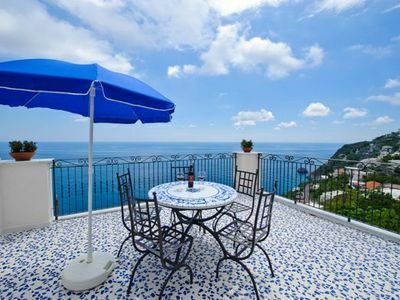 This property can only be booked from Saturday to Saturday (except in low and mid season where the minimum stay is 3 nights). Included in the price: Final cleaning; park pool and house maintenance; utilities (gas, water, electricity); towels and sheets provided. 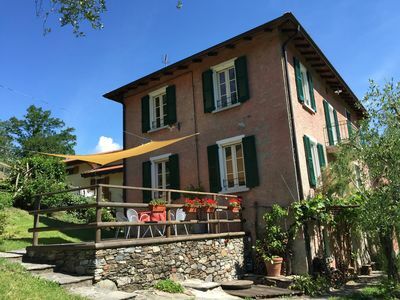 Casa Leone is situated inside the village of Castelmuzio, in the province of Siena. In Castelmuzio you can find some restaurants, bar, grocery stores and other shops that can be easily reached on foot. Within a few km from the villa you can find Pienza, the town of Pius II, famous for the “pecorino cheese”. Pienza is immersed in one of the most beautiful Tuscan landscape, Val d'Orcia, recognized in 2004 as UNESCO World Heritage Site. 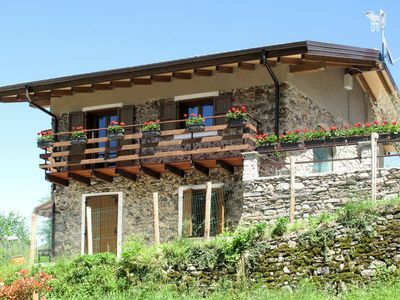 This area is, in fact, the quintessential Tuscany, studded with delightful medieval villages, stone cottages, gentle hills, vineyards, olive groves, cypresses and grazing sheep. - Montalcino (26 km), known for the production of the “Brunello” wine. For those who are looking for wellness and relaxation, the province of Siena has several thermal centres like the above-mentioned Montepulciano (20 km), Bagno Vignoni (22 km) and Chianciano (28 km). Another itinerary we suggest to follow is that of Val d'Arbia, along which you can find the renowned “Crete Senesi”, adored by photographers, poets and tourists from all over the world. Crete are a landscape of metaphysical beauty characterized by typical undulations clayey eroded by weather events. 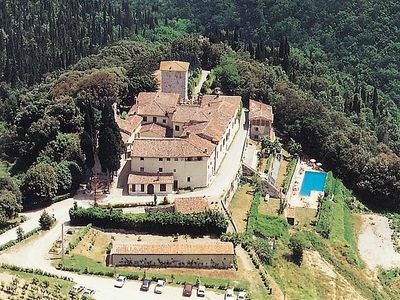 A good observation point to enjoy this beauty is the Abbey of Monte Oliveto Maggiore, a place of meditation and prayer, surrounded by woods, where you can admire the frescoes by Sodoma and Signorelli. 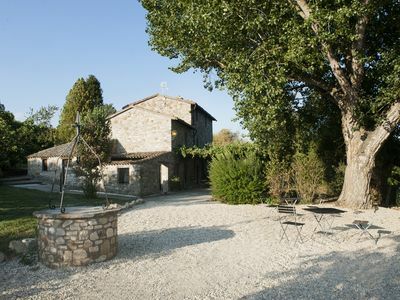 Lastly, we suggest to reach Cortona, Etruscan and Medieval town from Valdichiana area, built on a hilltop. This town boasts a glorious past: the legendary de' Medici family ruled it in the 15th century. Dream destination and synonymous with elegance and historic charm, Cortona is placed in a perfect location, close to the border between Tuscany and Umbria. Pienza (8 km), Montepulciano (20 km), Montalcino (26 km), Cortona (40 km), Siena (45 km), Arezzo (50 km), Florence (110 km), Rome (200 km).